Wilmington, NC – July 25, 2016 – We are pleased to announce the opening of a new world-class laboratory facility in St. Louis. The current site for laboratory operations will be transitioning to a new building located in the Cortex Innovation Community at 4320 Forest Park Ave., Suite 201, St. Louis, MO 63108. 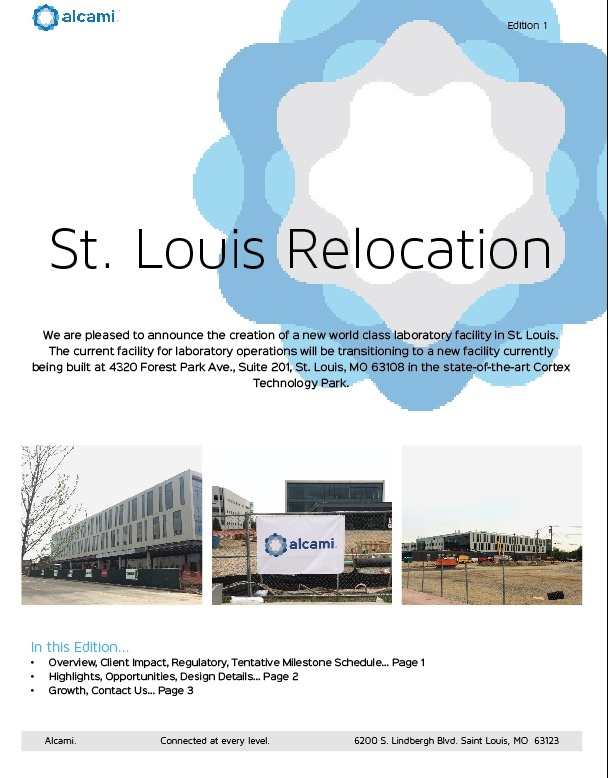 In order to keep our clients and potential customers updated on the development of the St. Louis relocation, we have created a quarterly newsletter that includes an overview of the relocation, design details, a milestone schedule, growth plan, and more. You can view the newsletter here. Wilmington, NC – July 25, 2016 – In February, 2016, Alcami, formerly AAIPharma Services Corp./ Cambridge Major Laboratories, announced a planned investment of at least $10.7 Million to relocate its St. Louis, MO analytical testing facility to the Cortex Innovation Center. 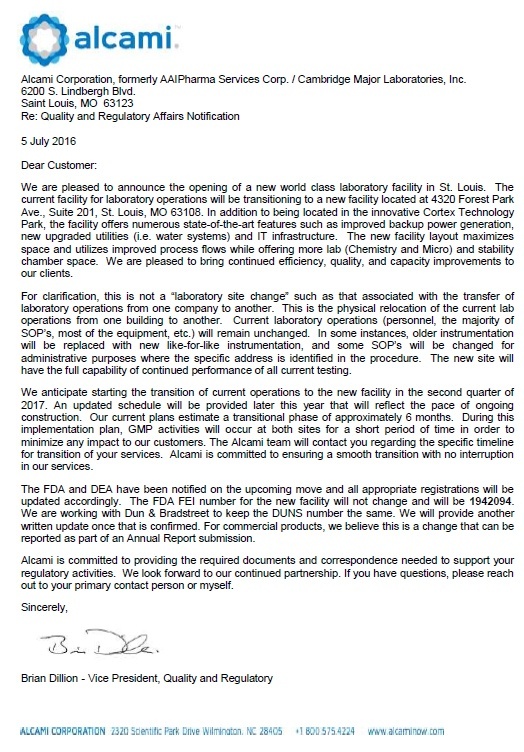 Following the announcement, a formal Regulatory Change Notification Letter was sent to individuals who work, or have worked, with the Alcami St. Louis site. You can read the full Regulatory Change Notification Letter here to learn more about the relocation. 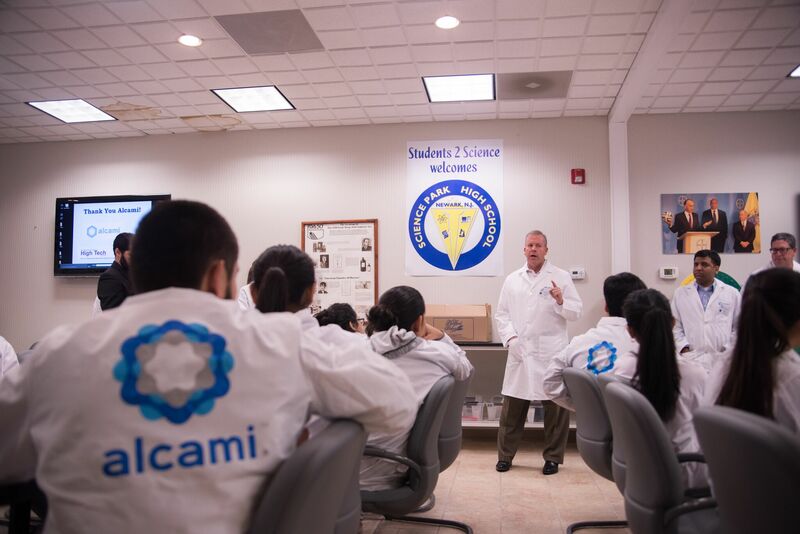 Wilmington, NC – July 13, 2016 – Alcami, a leading provider of custom development and manufacturing services for the pharmaceutical and biotechnology industries, today announced its participation and support of resources, money and volunteers to Students 2 Science (S2S), Inc. S2S is an innovative Science, Technology, Engineering and Math (STEM) education organization that introduces elementary, middle, and high school students from throughout the state of New Jersey and Pennsylvania to real-world science and scientists at its professional laboratory in East Hanover and through its virtual lab program.